Following up on a lead takes James Bond to Haiti, where he learns that environmentalist Dominic Greene is plotting to overthrow the Bolivian Government in exchange for a plot of land. Followed by Bond, Greene heads to Austria, making a deal with the CIA to turn a blind eye to the coup; they assume the land he has been promised contains oil. 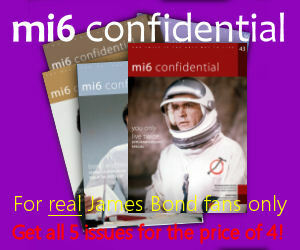 In Austria Bond eavesdrops on a meeting of the secret organisation Quantum, which he interrupts prompting members to depart. 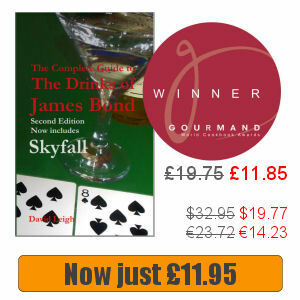 Things get complicated though when Bond is involved in a gunfight and the bodyguard of an advisor to the British Prime Minister is killed. Casino Royale was always going to be difficult to follow, but Quantum of Solace was stillborn thanks to the writers strike that resulted in filming commencing without a completed script. And what could have been one of the best car chases in any Bond film was rendered almost unwatchable thanks to shaky camera work and over-fast editing. 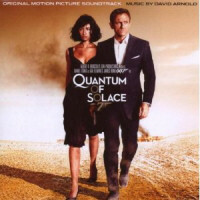 However, David Arnold delivers a great score and Daniel Craig once again makes a great 007. 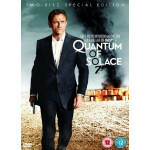 Read more about the Quantum of Solace soundtrack or buy it online.